1 jalapeño pepper, seeded & diced. Cut tomatoes into quarters and remove seeds. Chop into 1/4-inch pieces. 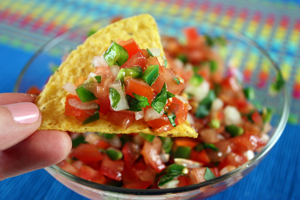 5 Comments on "Fresh Tomato Salsa"
Fantastic! Crazy good and so fresh tasting! 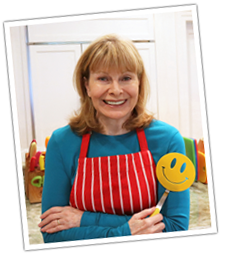 Jenny: You look fantastic and sound sweet as ever; I was so glad to see you again and to find out you are a great cook and terrific teacher.